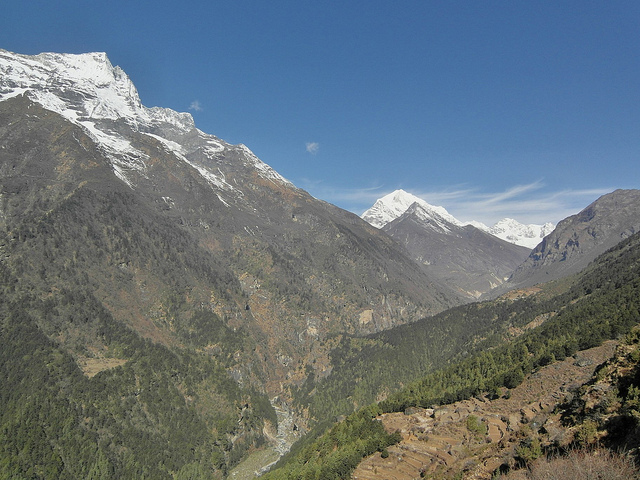 The great Bhote Kosi valley runs west from Namche Bazaar. You can make a superb long acclimatization day circuit out to Thame (at 3,750m). 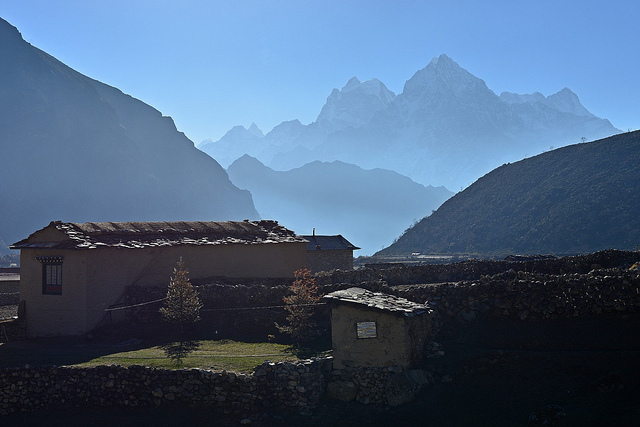 The great Bhote Kosi valley runs west from Namche Bazaar at 3,420m. Superb Himalayan scenery. 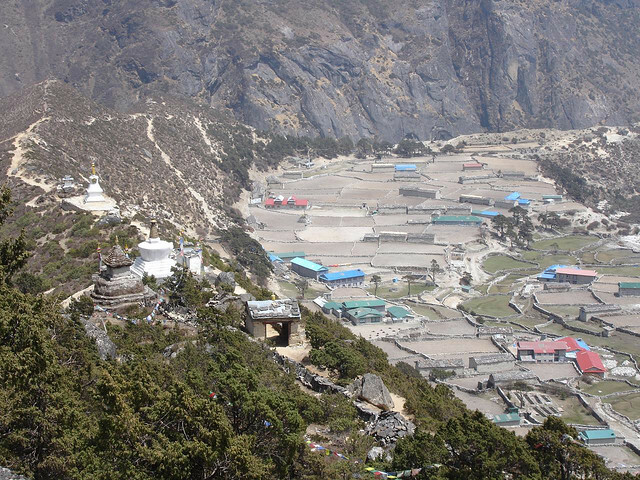 You can make a superb long (7hr+) acclimatization day walk circuit from Namche Bazaar to Thame (at 3,750m). Longer expeditions can then head west across the Tesi Lapcha (painfully high at 5,755m) to the lovely and empty Rowaling Valley. 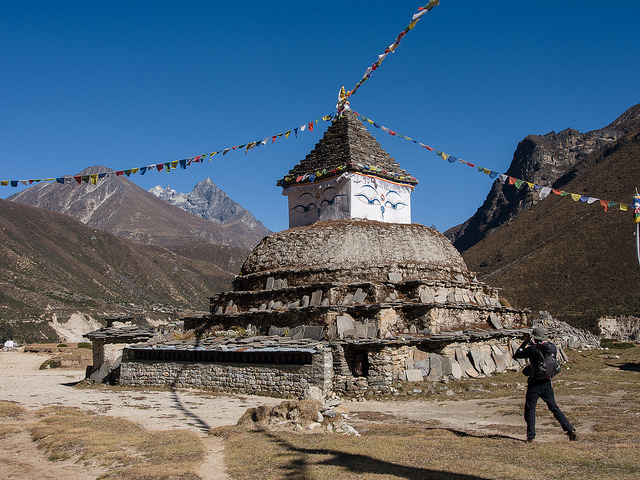 The Three Passes Trek swings in from Gokyo, over the 5,345m Renjo La and down south through this area and back to Thame and Namche Bazaar. 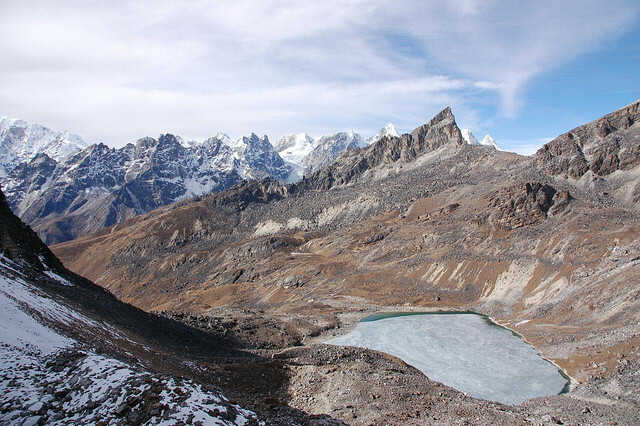 An outstanding walk would be to head north from Thame and cross into Gokyo over the Renjo La, and then on over the 5,420m Cho La to the Khumbu Glacier and thence on to Everest Base Camp. (This is the larger part of the Three Passes trek, but in reverse). 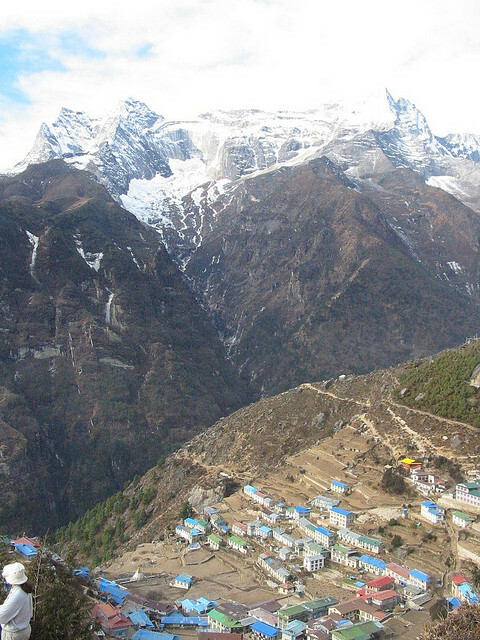 Around 17 days from and back to Lukla. 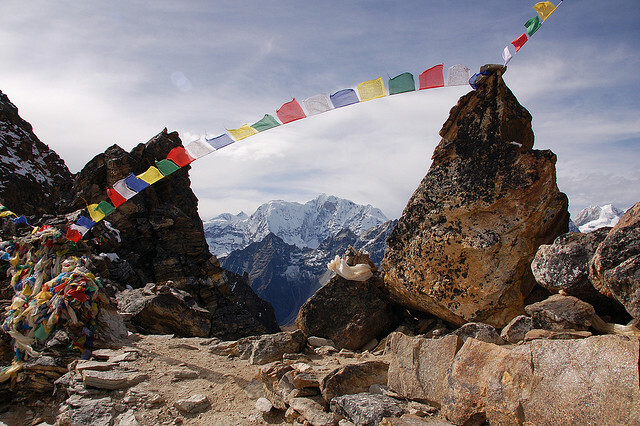 SEE OUR EVEREST REGION PAGE FOR PRACTICAL AND OTHER DETAILED INFORMATION (AND WARNINGS) .